Successful office removals require a variety of complex skills, a lot of experience and the ability to tailor a suitable plan that will fit the individual business that is being serviced. Our company excels at all those things. 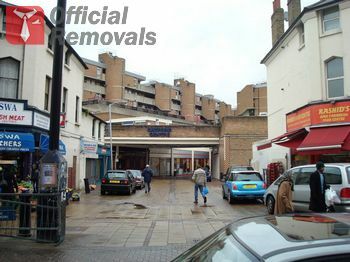 We are the best contractor providing office removals in Catford. We have worked hard to create a comprehensive list of services that our clients can rely on at all times. What is more, we have invested a lot of time and effort to optimize our methods and constantly update the equipment and vehicles we are operating with, so that we can achieve maximum results for the minimum amount of time and money. 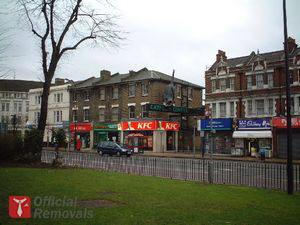 Efficiency, affordability and high quality are the things that make an excellent service, and when it comes to Catford office removals, we have no competition for the title of the best professional moving company. When a client calls us, we make sure to discuss his project at length. We inform ourselves of the size and the nature of the office removal we will be handling, about the personal preferences of the client and his employees and then we proceed to tailor an individual plan according to which the work will be carried out. The tools and the supplies we use are only of the highest quality and we stay informed about the current trends in the industry, so that we are able to provide a service that is up to all international standards. Our fleet of modern vehicles is equipped with all safety straps, belts and blankets that ensure the hassle-free transportation of furniture, equipment and other items we were entrusted with. The size of the job we were called for is of no importance to us – we approach each task with the same level of seriousness and professionalism, and since we have vans and trucks with different sizes, we will always have a vehicles suitable for the task at all times. We are available for contact on the phones provided and also online through our online contact form. We provide everyone interested with a free no obligation quote.